Rapid development of information and communication technologies (ICT) has lead to significant changes in social, economical and political relations of the modern society. Access to information and control over it contribute to the prevalence of soft power in politics of digital age, and empower the non-state actors in international relations. Contemporary diplomatic service, besides being faced with enhanced roles, requests for extended outreach and accountability, yet shrinking resources, is also challenged with multistakeholder and multidisciplinary international arena. The most drastic alteration in our lives since the past few years is the penetration and massive progress of the Information technology, which has become more of a necessity for us now rather than a facility. These drastic changes that information technology has introduced in our lives have completely changed our lives and perhaps our lifestyles. Life has become much less manual and a lot hassle-free for people all around the globe that have active access to the innovations of information technology. The world is fast becoming a global village and the thirst for more knowledge and information has been a driving force for the drastic changes in Information Technology around the world, these changes are what people have termed as the “third industrial revolution”. One can see the basic trends in the Information Communication Technology revolution in terms of its structural changes, from telephony to the Internet, fixed to mobile telephone and from narrowband to broadband. The development in information technology has left an impression on us as individuals not just in the western world but generally. Information technology today has a completely distinct essence to it when compared with how it was perceived to be back in the day. The drastic changes that information technology has introduced in our lives have completely changed our lives and perhaps our lifestyles. Life has become much less manual and a lot hassle-free for people all around the globe that have active access to the innovations of information technology. It is commonplace to say that nowadays we live in an information society, that is, a world of media saturation, which is heavily influenced by information technology, instantaneous movement of information across time, and space, which come under communication in information technology. I would explore the riddle, that is ‘information technology’ as the most subtle element and a decisive factor in the effective running of our daily life, which means looking at the way we consume information technology and the end uses, from Communication- Security – Finance industry – Medical field. We are constantly been drenched by one form of information technology or the other, when the technological revolution began the question on our minds back then was “Does information technology shape human communication” but now this has changed, we now ask under what circumstances, in what way and to what extent does information technology shape our lives. I would look at “Everyday life” as the dull routine, ongoing go-to- work, pay the bills home trudge of existence, it can be conceived as a never ending cultural work through which individuals constantly produce the meanings, structure and social organization of their worlds as well as social identities and those of people they interact with or talk about. I will then evaluate the proposition that Information Technology has become part and parcel of our every waking life, focusing on close readings of information society and their relation to broader ideological discourse of everyday live. My hypothesis is that the world has been subsumed under information technology thus leading to the implosion of different forms of information/communication gadget, which has taken over our everyday life. Information technology is so closely attached with our lives today because half the efforts that we have to make in our daily lives in order to sustain and expand are now being done and completed by technological gadgets and machines. For instance, the innovative IPhone that can allow an individual to surf through the Internet on the spot whenever he/she might need it for assistance and relevant information. Information Technology is a term that encompasses all forms of technology used to create, store, exchange, and use information in its various forms (business data, voice conversations, still images, motion pictures, multimedia presentations, and other forms, including those not Yet conceived). It is a convenient term for including both telephony and computer technology in the same word. Information technology literally refers to any development that mainly involves computer-based information systems comprising of software applications and the computer hardware. 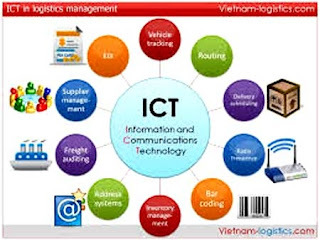 A more conventional and perhaps contemporary meaning of the information system is the use of electronic systems that can assist towards retrieving the required information. Information technology in the modern day and age has a lot to do with communication and accessibility, which is mostly why the use of technology (computers) is associated with information. Nothing is the same with the expansion and deeper penetration of information technology, let’s take an example from our daily lives to realize the extent to which technology has become a part of our routine lives, we take an instance of the elevators that we take every day to reach swiftly where we want to without having to waste any time. Communication covers a huge part of what information technology is for the people of the modern age because when we think of accessibility and an easy life, we automatically point towards technological innovations such as the Internet and the mobile phones along with a thousand other inventions. There are many ways through which information technology has become such as integral part of our daily lives; we have incorporated it into our lives as a part of routines. For instance, we plan our busy schedules on our personal laptops or on our cellular phones. This shows how much we depend on information technology that we have even started planning our lives and goals by the help of it. Indeed, it has made life extremely organized and structured but at the same time we have failed to acknowledge the threats and dangers that it brings along with it. We cannot ignore the fact that there are over thousands and thousands of cyber intrusions each day, which has ended up affecting the lives of people in an unfavorable manner. For example, online banking systems have allowed hackers to steal money and many awful incidents have taken place because of this technological advancement and facility provided to the people. This implies that with more and more technological advancement and information accessibility, the chances of the exploitation of technology and information expand. Without a single doubt within our minds we can say that information technology has given us an opportunity to lead better lives when it comes to the quality but we can also say this confidently that we are much more conscious and careful now because of the dangers attached with its expansion. Moreover, this excessive dependence upon information technology is making us as individuals less productive when it comes to availing our natural strengths and capabilities. For instance, readily available and well-organized information, which is available on the Internet, has allowed people to plagiarize and block their minds when it comes to personal effort and contribution. Is the most noticeable aspect of attaching information technology so closely with our daily lives but it seems as if we are ignoring the problems that it is bringing along with the much-needed enhancement. For example, The GPS system (Global positioning system), which was originally developed for military-use but eventually it became a part of our daily, lives in the form of car navigation system. The same GPS system is now being used by terrorists and in other illicit activities, which obviously project the dark side of having information technology at hand. The most pragmatic yet optimistic side to having information technology at hand is less consumption of time and a better quality of life. For instance, we can reach out to our family and friends residing miles away from us through mobile phone, Internet, computer and web cameras. It is worth mentioning here that every sphere of work and study has developed and excelled in this day and age because of the technological enhancement. Technology has provided every sphere with an opportunity to make their work a lot easier and organized. For instance, spheres such as entertainment have become so significant in our daily lives because of Media, which revolves around many technological widgets such as the satellite system. The main reason as to why information technology has become so proximately attached to our daily lives is the fact that our daily lives now revolve around the technology and we feel incomplete or void without having it around us. In discussing about Information technology under communication, one of the key forms of communication in 21st century is the mobile phone. It has infiltrated the world, both young and old now engage in the use of mobile phone on a daily basis, though it is widespread amongst teenagers. Without its presence we feel that a significant part of our routine life is lost or we are not in pace with the modern world, from recent studies, an average teenager would send about 42 text messages, receive and makes calls of about 120 minutes daily and basically spends half of the day fidgeting with a mobile phone. A typical day in the life of a teenager would be centered on mobile phones, television and the Internet using the metaphor relating to food, this would be a “balanced diet”. Even 4 years ago, half of the 12-to-19-year-olds gave themselves good marks for knowing how to cope with hardware and software. Today, four out of five young people work with a PC. During the last 4 years, the margin between boys and girls in the use of computers has been halved, meanwhile, 79% of girls and 87% of boy’s state that they use a computer at least once a month in their free time. Particularly in the age group of 14- and 15-year-olds, female computer users can be found nearly as often as their male counterparts. Moreover, 60% of children report that they have repeatedly used a PC, and 30% report that they have repeatedly used the Internet. Surveillance plays a huge role in information technology, it denotes what is happening as today’s bureaucratic organizations try to keep track of increasing complex information on a variety of populations and group, it is strongly bound up with our compliance with the current social order. The word surveillance comes preloaded with imagery and emotions. The western world has embraced surveillance, go to the ATM your image is recorded, Watching your every move, they were originally installed to prevent shoplifting but in the new information society it is also used to examine workers performance and how they treat customers in addition to keeping an eye on internal theft. The expanding role of information technology in our daily lives has allowed each one of us to stay aware and take in as much information as we possibly can and at times much more than required. This implies that the constant bombardment of information makes our daily life in this day and age extremely stressful, for instance, wherever we go we have a mode of communication along with us, which includes the media that comprises radio systems in our cars, television and Internet. However, at the same time we are much more aware and informative through these technologies as compared to the age when these technologies were not as widely available to the general population. It would be a mistake to think that information technology only adds perks to everyday life because it has many downsides as well, which can affect our lives immensely. For instance the soaring number of cyber crimes each and every year. Therefore, we cannot just say that our lives are simple and hassle-free because of the expanding role of information technology in our daily lives because at the same time it has made us feel insecure towards our security and privacy. The expansion of information technology should be encouraged but the problems that it brings along with it should always be addressed and highlighted. With such rapid expansion of information technology ethics of going about its use should be implemented upon strictly. It cannot just make our lives much simpler collectively but the actual reason for the expansion of information technology in our daily lives can be recognized. However, we cannot always blame the technology for its accessibility because the point of concern should be the people who actually end up misusing this facility being provided to us for a better life. For instance, the use of communication technology such as walkie talkies (Handheld transceivers), which can be used for immediate and constant interaction, can be used for appropriate purposes but at the same time they can be used for inappropriate and illicit purposes. This implies that the aim of technology is to provide an individual with a better and much easier life rather than giving ways to execute their illicit intentions. Therefore, we cannot always blame the technology for its inappropriate usage because we will have to agree on the fact that it is man who uses technology to execute his illicit plans and intentions. In conclusion, I can imply that there are many merits and demerits when it comes to the usage of information technology and people should be able to differentiate that. Information technology is bliss for the most part with such a gigantic impact on our daily lives but it should be used responsibly while realizing the significance of personal struggle and effort. We cannot deny that information technology has become the most significant part of our daily lives while making our lives a lot more hassle-free and swift. Take an example of e-mailing and online shopping which both define how deeply information technology has penetrated into our daily lives and how technologically accustomed we are now. In Britain today, ask an average citizen to show a form of identification and you get: credit/debit card, Oyster card, driving license and Loyalty cards, this is the result of the advancement of information technology, we can almost not do without them and also this could be to our detriment because the it could lead to identity theft, it can be used to track your movement. Precise details of our daily lives are collected, processed, stored, retrieved everyday within huge computer database, which belongs to big companies, government departments, that is information technology in the form of surveillance system. When you wake up, first thing you do is check your mobile phone for missed calls or text messages and check the internet for new emails or latest news or being neck deep in cyberspace activities like having a second life, making friends, doing and achieving things in a virtual community that does not exist, only that you wished you had it in reality, that is information technology saturating you everyday life in the form of communication. The increasing saturation of household with Information Technology has led to many people consuming several technologies at the same time, like: listening to music and browsing online, switching between homework on computer and chatting with friends, zapping through channels on the television with the use of a remote controls. Admittedly I can conclude that information technology is perhaps the most significant part of our daily lives now and it has taken human life to whole new and an intellectual level. Furthermore, it has opened infinite routes of receiving information anytime anyplace allowing us to live a much qualified and informed life.